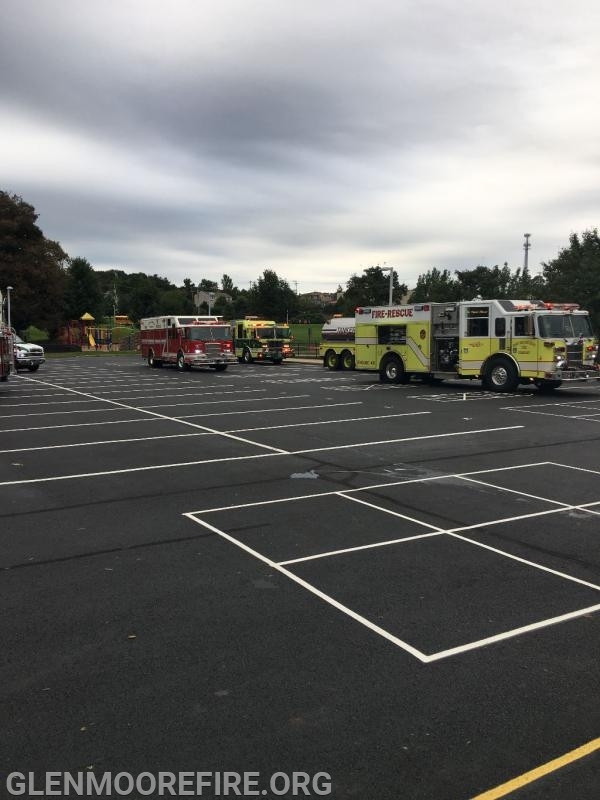 On Friday morning at 8:03am, Engine 48-5 was dispatched to assist Station 47 (Lionville Fire Company) for a smoke in the building call at the Pickering Valley Elementary School. 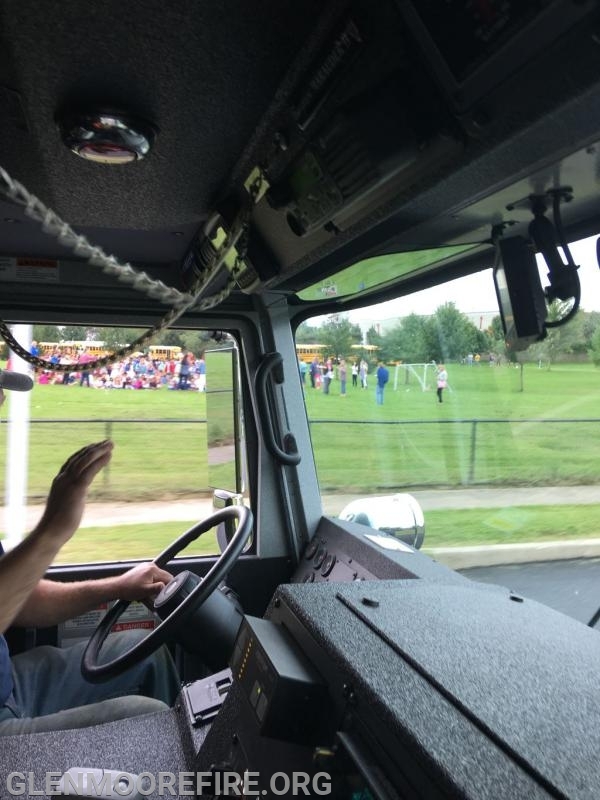 Multiple fire companies responded to the call including West Whiteland Fire Company (Station 6); Ludwig's Corner Fire Company (Station 73); and East Brandywine Fire Company (Station 49). The crews searched the interior of the building and the roof in an attempt to locate the source of the smoke. 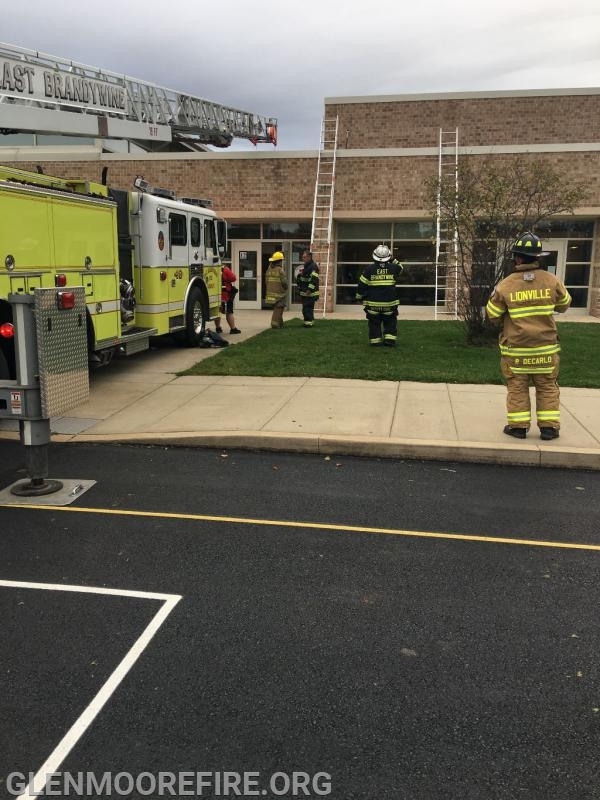 After an extensive search, smoke was discovered coming from a light fixture in one of the classrooms. The situation was quickly resolved and the building was cleared. All the students evacuated safely and no injuries were reported.